You shouldn't be able to lift heavy weights, and yet you do it again and again. Experienced strength athletes know that the secret to making big numbers move is the mindset of the lifter, not the size of his muscles! Occupation: Fitness expert, trainer, writer, and author of "The Elite Trainer" and "Mass Explosion". What motivates you during a workout? Not before—not "Oh, my god, I'm so excited to go to the gym right now." I'm talking about when you're standing just outside of the power rack. You're about to get under a bar stacked with 45s that could staple you to the ground in less than a second. What do you think of? Suddenly all the rules change. That little scare your doctor gave you about what could happen if you don't exercise isn't enough to make it happen. It's no match for the big scare of being crushed by hundreds of pounds if you don't crush it first. You need something more powerful and direct to turn your flame into a raging fire. Look at a video of pretty much any record-setting squat or bench press, and you'll see the lifter camping out for at least 15 seconds or so, and sometimes far longer, as they prepare themselves to make this transformation. And that's in an ideal scenario, with a crowd watching and urging them on, and a long-awaited triumph in their crosshairs. In training it's different. No one is watching, except for maybe a slightly nervous spotter or workout partner. It's all on you. And if you want to make it through this set and eventually lift something even heavier, you'll need more than just good form and a good pre-workout to make it happen. Arnold famously saw his biceps as mountains, and pictured himself lifting tremendous amounts of weight with those "superhuman masses of muscle." But what often gets overlooked in that anecdote is why he favored this type of image. As he told "Muscle Builder" magazine back in the day, it was all about losing himself. "When you think of biceps as merely a muscle, you subconsciously have a limit in your mind. When you limit yourself to that, it is very hard to get there, and nearly impossible to go beyond," Arnold said. "But when you think about a mountain there is no mental limit to biceps growth, and then you have a chance of going beyond normal mental barriers." 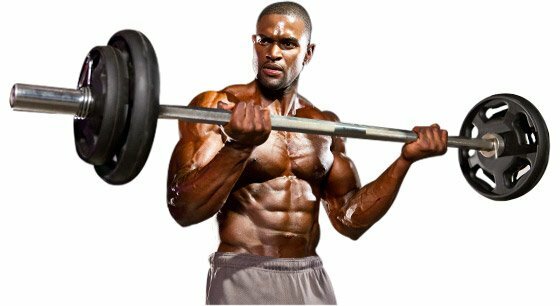 If you want to make it through this set and eventually lift something even heavier, you'll need more than just good form and a good pre-workout to make it happen. I've been in this position many, many times over the course of my training career, and I've learned what puts me in the max-strength headspace. Mountains aren't enough for me; I need to go animal! There are a few scenarios that I envision, but here's a classic one. I'm not a fan of house cats—in fact, I'm allergic to them—but I admire big cats, and especially lions. A male lion in his prime embodies strength, power, and aggression. And just as important, we've all seen enough images of lions in our lives to be able to recall one vividly on a moment's notice. When I walk toward the power rack, I see the lionesses move aside. I get under the bar, look the water buffalo straight in the eye, and then we go to war! Nine times out of 10, the pride gets fed, but sometimes that damn buffalo gores me. When that happens, I step back and tell myself I'll get him next time. And I mean it. Are animals not your thing? Make it more personal. Imagine a situation where everything you hold dear is on the line. Picture someone holding a gun to your head, or worse, to the head of someone you love. You don't have a choice; you simply must pump out those extra reps in order for this nightmare to end. After the set, picture yourself kicking the crap out of that guy. I promise you, if you let yourself go to dark places like this, you will be rewarded for your efforts. You don't have a choice; you simply must pump out those extra reps in order for this nightmare to end. Intense visualization isn't for everyone. And even the most imaginative of us need to mix things up, so we don't get too far out there. Enter videos. Last March, Bodybuilding.com held an NCAA-style bracket tournament of the best and most motivating training montages. It ended up being Rocky films versus Rocky films all the way through. Everyone has their favorite, but "Rocky IV" ended up with the crown. Over the last 29 years, countless strong people have channeled these six minutes to find new levels of strength and unbridled intensity. A max-strength day? The first fight scene in Troy is great before a big weight. A terrifying opponent falls, and there's never a doubt who will prevail. Part of Rocky's charm, of course, is that when the movie came out, he stood alone. To paraphrase an old country song, he was motivation before motivation was cool, before "fitspiration" was a thing. Today, countless online videos are made specifically to help you—or at least the person in the video—train harder. Looking for an extra inch on your arms? 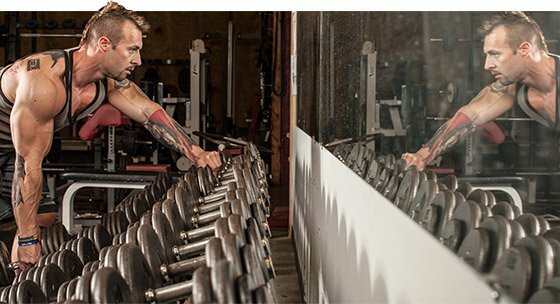 Then command your biceps to grow like YouTube sensation CT Fletcher does. Had it up to here with haters? Then dedicate your workout to them, like Kali Muscle does. If it can help a man move 275 pounds with just his arms, it must be powerful stuff! Everyone has their own trigger; the trick is finding it. What makes a heavy weight turn into a light one for you? Is it a classic like "Pumping Iron," one of Ronnie Coleman's old school videos, or are you "Driven Beyond Strength" with DeFranco? Are you one of those rare ones who can get motivated by something as simple as a big number or the goal of looking swole for an upcoming event? Let us know in the comments! Maintaining proper form can mean juggling a lot of thoughts. Don't complicate it further by obsessing over breathing patterns.